Hi everyone, and welcome back to the angelKat site! As you may have noticed, we’ve been offline for a little while. Sorry about that. Our host alerted us to some technical issues that resulted in having to delete large amounts of the site. Luckily we perform regular back ups so nothing important was lost. But, me being me, I decided to use this opportunity to overhaul and (hopefully) improve the site. Part of that was upgrading things behind the curtain. Lots of security improvements, better file organisation, and hand coding the new site design/layout from scratch. Something that I’ve been wanting to do forever but hadn’t had the time. 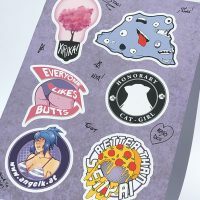 The angelKat site now has it’s own official Web Store! Up until now we’ve relied heavily on 3rd party sites such as Society6, Redbubble, Teepublic, etc. which are all still there if you’d like to use them of course. 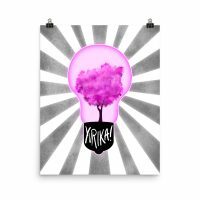 But now items that you’d normally only be able to purchase from us at conventions can be found here on angelKat! We still only sell our digital comics/files through Gumroad and Patreon though because they handle the complicated bits of that which we don’t have the facilities to do ourselves yet. However, the angelKat store will include clothing now as we’re trialling a service called Printful that will print and deliver orders for certain items (t-shirts, hoodies, device cases, mugs, posters, and more). As with anything new, there may still be some things to iron out. So please let us know if you encounter any issues on the site or with the store/orders as your feedback will help us to improve and fix things more quickly. 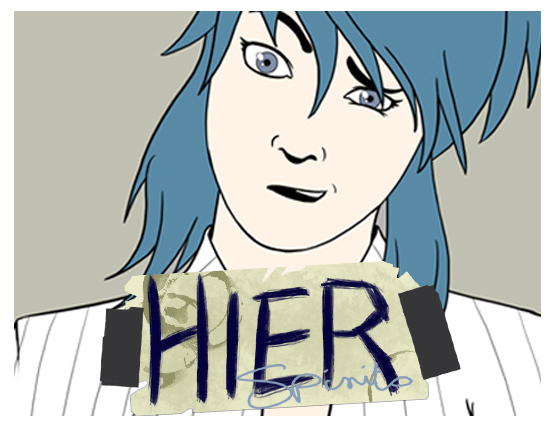 The site now has three main comic sections: Fera, The Editors, and our latest addition Hier Spirits, which will begin uploading regular new pages this summer. You’ll also find a brand new angelKat Presents section which will showcase some of our short story comics, strips, and previews of upcoming projects. As well as comics we now have an art gallery area, a new event calendar, and a clearer commission information page. In the coming months I’ll be adding regular new blog posts, reviews, art, merch, and more. I plan to include regular #ArtChallenge content, speedpaint and Artist Alley videos, and tutorials. I’ll also be mirroring our comics on Tapas, WebToon, etc. to give you all more ways to read them. Whether you prefer reading our comics here on angelKat, on your favourite mobile app, or in print – we’ll have you covered. Remember though: Patreon subscribers get early access to all new art and comic updates – so if you want to get sneak previews, exclusive deals/discounts, and more make sure to head over there now and check out the available rewards! angelKat Entertainment, its logos, worlds, characters, and content are (c)2005-2019 David Shirley & angelKat Entertainment. All rights reserved. Reproduction of any part of this work by any means without the written permission of the publisher is expressly forbidden. 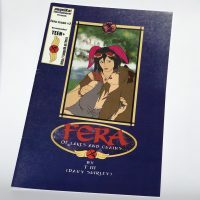 Published by angelKat Entertainment.